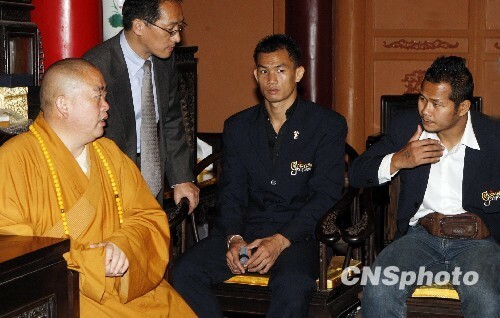 On May 18th Yodsaenklai Fairtex and Lamsongkram Chuwatanna Made an appearance at the famed Shaolin Temple of Henan, China. The appearance was to promote the WBC Muay Thai’s growing presence in Asia. The Muay Thai international competitors from Thailand were accompanied by China’s WBC Muay Thai General Secretary Zou Guojin. 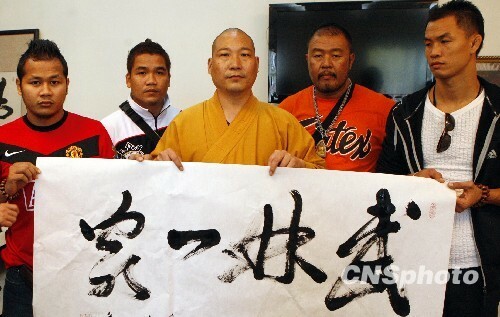 Together, they visited Master Shi Yongxin, the Songshan Shaolin Temple’s abbot and presented to the Shaolin Temple WBC belts much like the belt Jose Suliaman (president of the WBC) himself presented to Thailand’s Prime Minister Abhisit Vejjajiva shortly before the turmoil intensified in Thailand among red shirt protesters. It’s hoped that the visit to China by some of Thailand’s standout international stars will serve to develop relations between Thailand and China’s competitors and strengthen WBC Muay Thai’s presence world wide. The last part I’m not sure about but starting to get things solidified by the WBC Muay Thai sanction in Asia is at least a very good start. 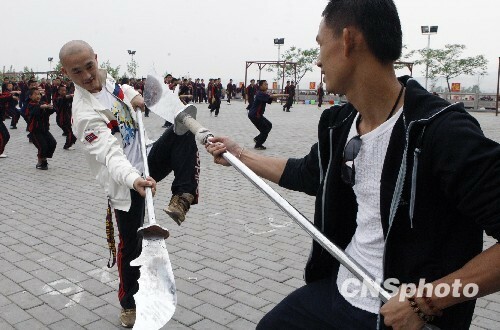 Notably Lamsongkram has actually competed on the Wu Lin Feng shows held there in Henan, China. Lamsongkram unexpectedly lost by way of knock out. Yodsaenklai has yet to participate in the events. You can see all the press photos below.